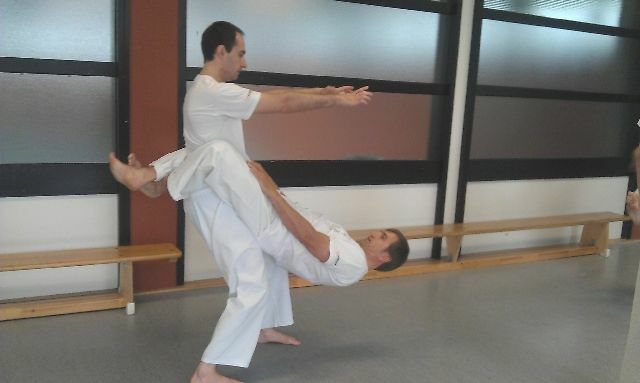 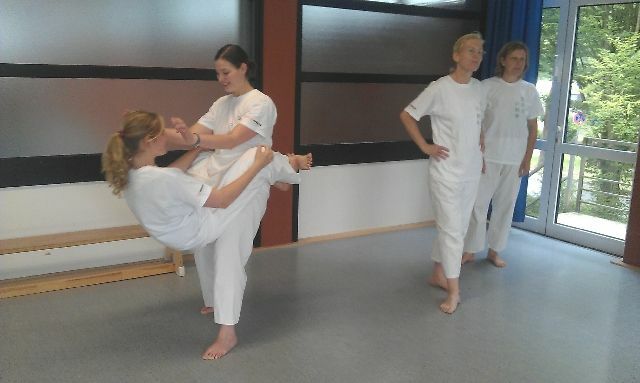 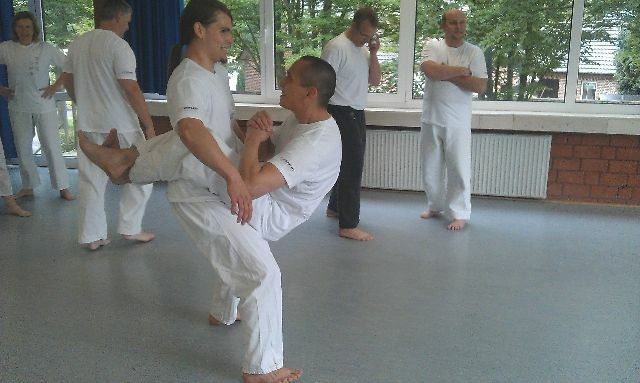 Invited to Germany to give a couple of seminars introducing this style to Haki Sensei and his students who trained who trained forms and exercises. 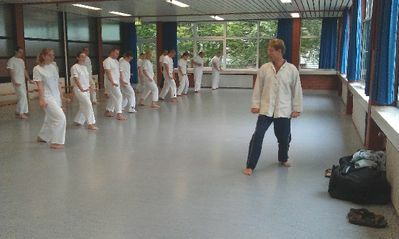 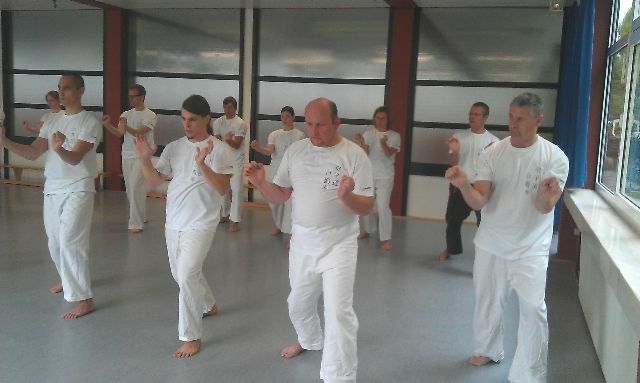 Haki together with many of their students have now visited china for training and they are teaching the style to advanced grade karate students. 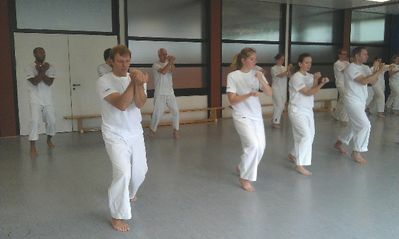 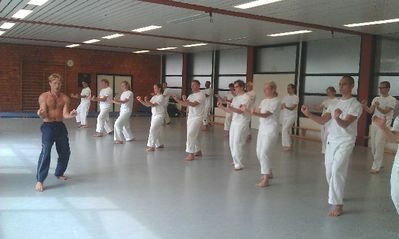 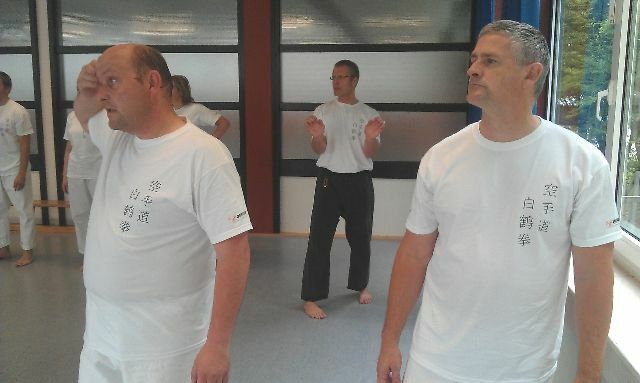 This was the first of 2 seminars in Gronau. 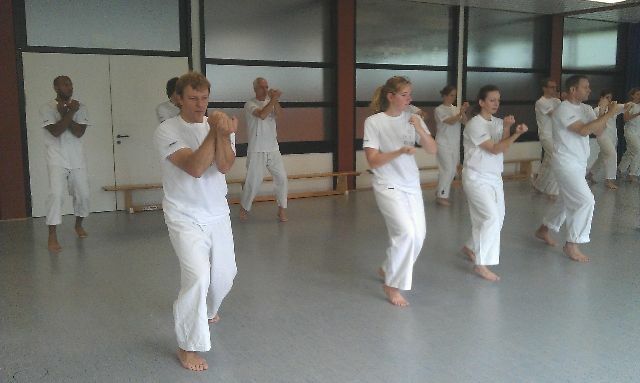 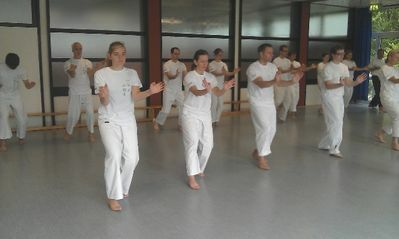 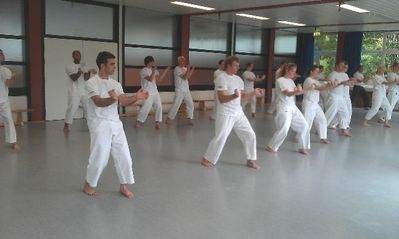 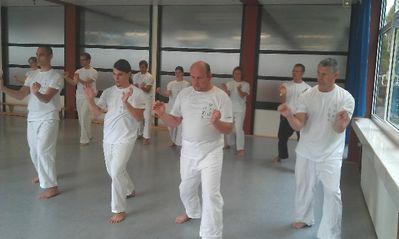 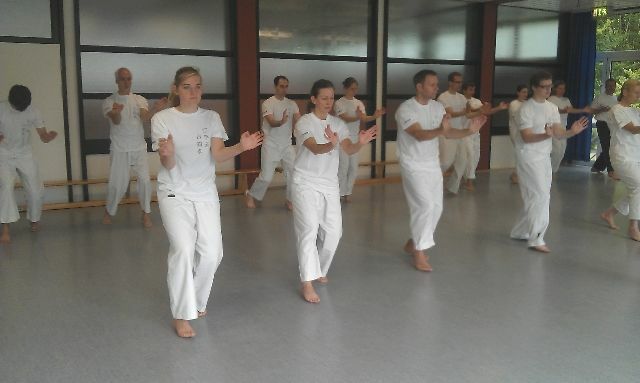 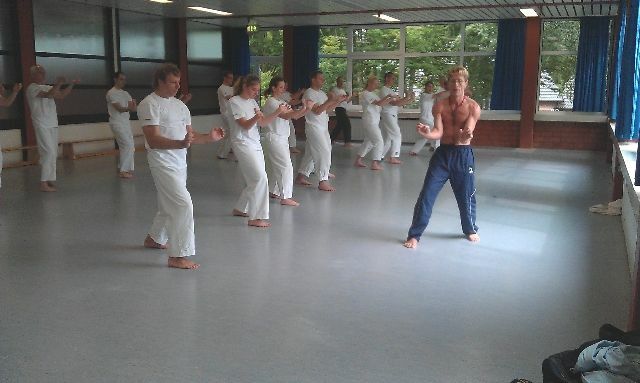 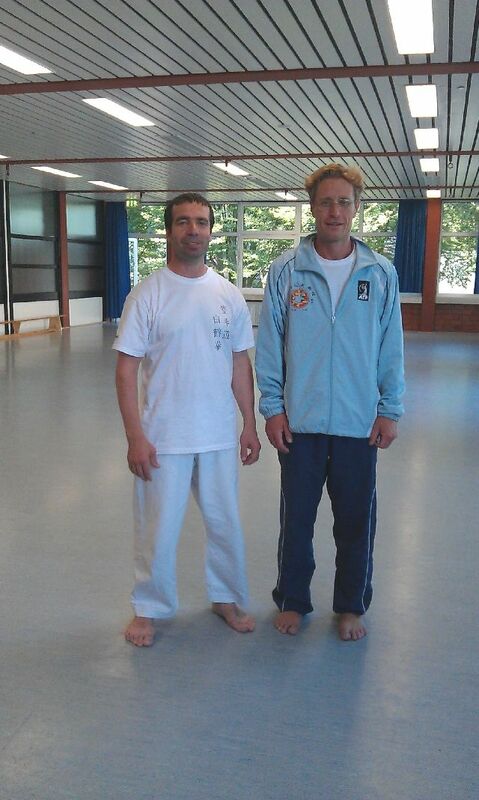 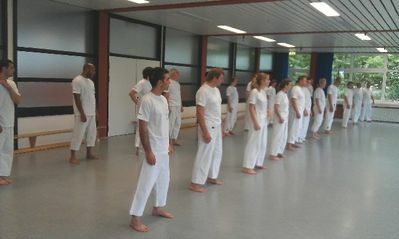 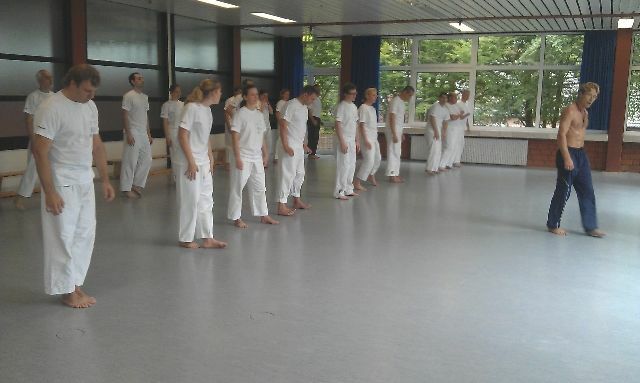 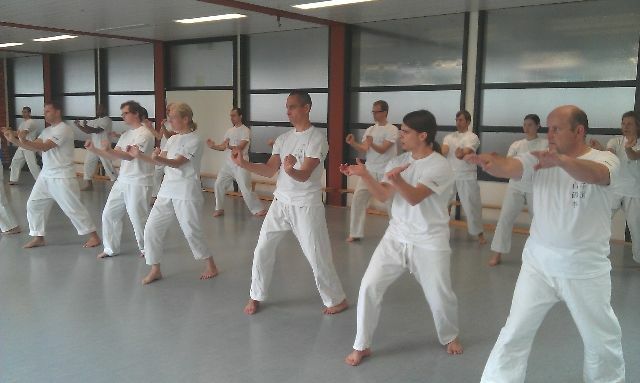 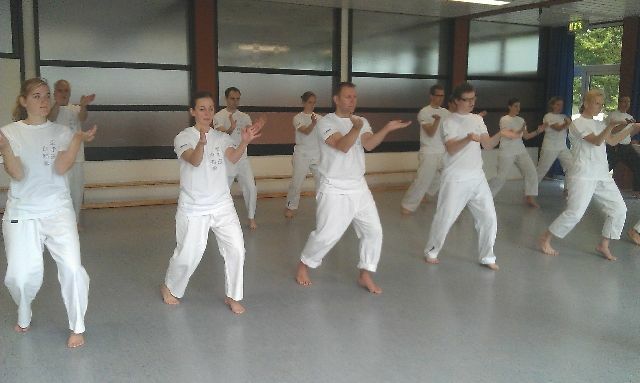 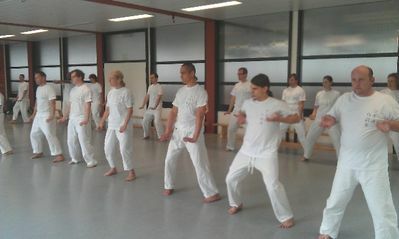 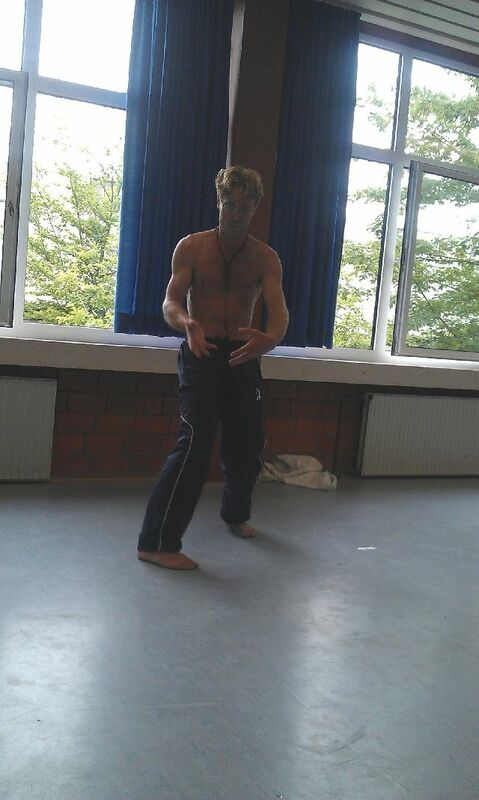 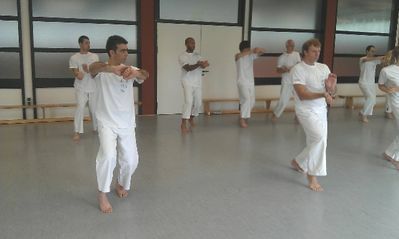 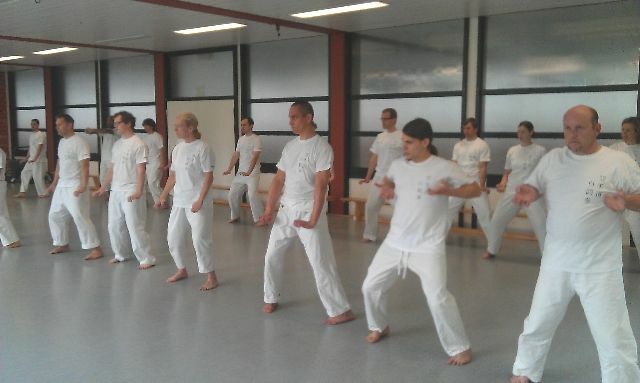 Haki is representative for the Ong Gong Shr Wu Shu Guan in Germany. 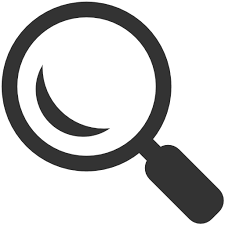 They are very diligent and detailed.